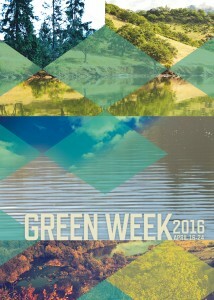 The University of Mississippi’s eighth annual Green Week celebration, coordinated by the Office of Sustainability, is set for April 16-24. Established in 2009, Green Week features a variety of interactive events that allow UM students, faculty, staff and Oxford residents to explore ways to live a more sustainable life and the importance of doing so. A cornerstone of the Green Week schedule is the Earth Day keynote address, delivered this year by Linda Hogan, BEI Emeritus Fellow, and a Native American poet and author with a focus on environmental issues, indigenous culture and tribal history. Hogan will speak at 7 p.m. April 21 in the Overby Center Auditorium.